In a deep skillet, brown the chicken thighs along with the garlic in the olive oil and butter; season with salt and fresh ground pepper (~ 4 minutes on each side). 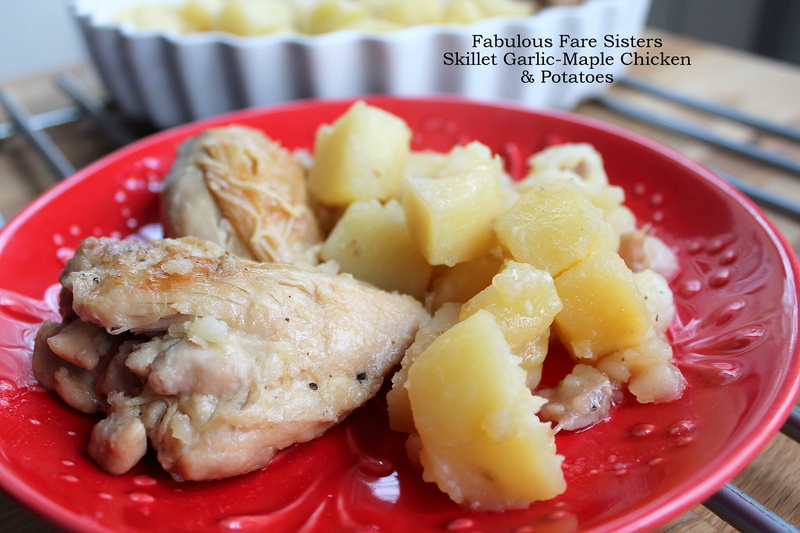 Add the diced potatoes and additional salt (to taste). 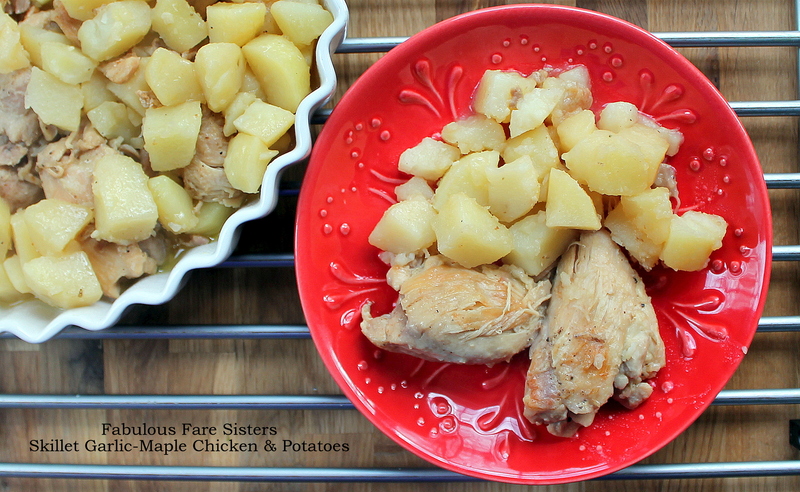 Cover the skillet; bring to boil, reduce heat and simmer 20 minutes until chicken is cooked and potatoes are tender. Pour in the syrup and simmer a few minutes to combine flavors. Serve immediately. You are combining a lot of sweet and savory flavors this week. Interesting combinations for us to try. I’m putting this on my ‘must try’ list! It looks easy and tasty, exactly how I like my recipes. I’ll definitely let you know how it turns out when I try it.